Basically I did my own version of a chemical peel the last couple days- not really on purpose. I got samples of PCA skincare kits: a normal skin, oil, dry, chemical peel, and post procedure at the American Academy of Cosmetic Surgery that I attended a couple weeks ago. So anyway- I am struggling with some red marks on my cheeks, upper lip and chin that I really want to get rid of. I know if I get a resurfacing treatment (frac laser) that it would easily get rid of them, however, I’m not up for hiding for 5-7 days while my skin falls off. Actually the better reason is I aim to prove that it’s possible to get rid of them with topical treatments for an extended period. I actually would get a frac, simply writing about it makes me want to make an appt. Or another basic moisturizer without a ton of potent ingredients. 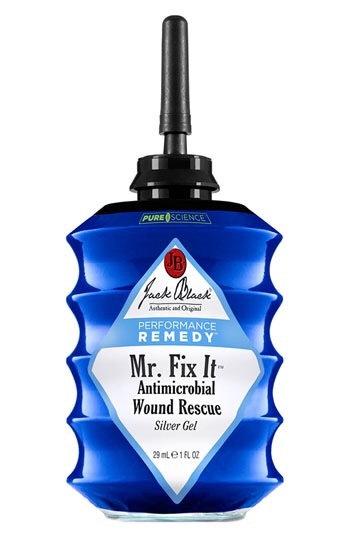 Here is a star product that I’m not sure I could do without since discovering… Jack black mr. Fix it antimicrobial would rescue. I am very attentive to my skin- to a fault. This product is meant to ‘heal’ a broken blemish or any raw skin. 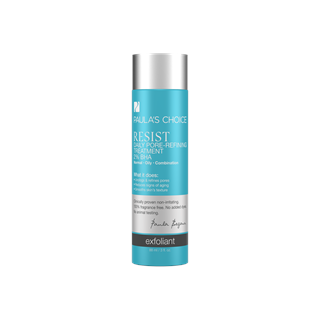 Think, retinol/ aha redness relief or a magical healing potion forthat pesky ‘bump’ that you couldn’t avoid touching. 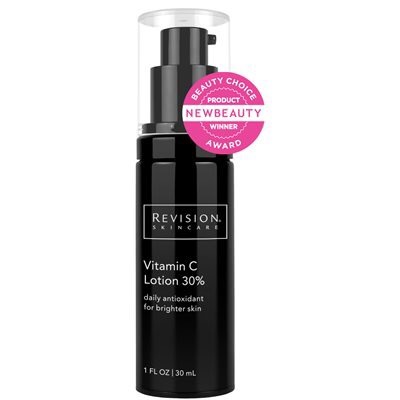 As for eye cream, I am currently testing the Revision Teamine eye complex and actually love it. 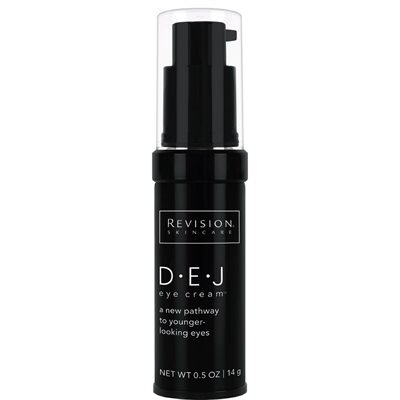 I have been using the Revision DEJ eye cream as well which is nice , but not at moisturizing as the Teamine- and sadly for Neocutis, way better than the Lumiere . After this I finally move onto makeup- sometimes using a primer bt not always. At night- this is when the magic happens and I pull out the big guns. 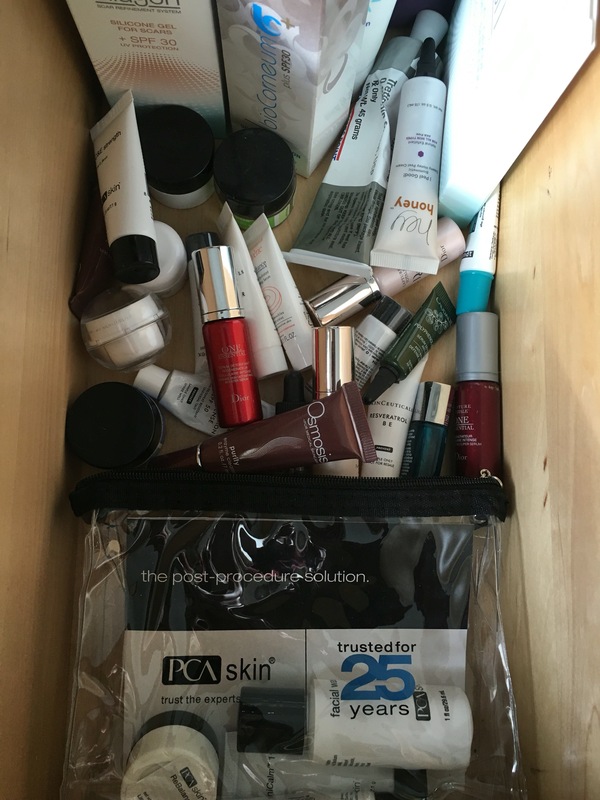 I use every other night, the Skin media aha/bha cream, and the other nights PCA intensive brightening complex with retinol. These products MAKE THINGS HAPPEN. 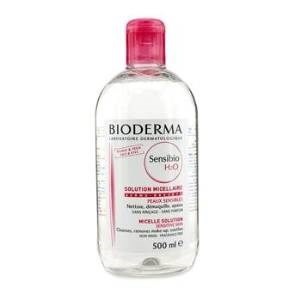 First of course, I cleanse, and use a makeup removing 2nd step like Bioderma, but recently purchased the garnier and simple micellar waters. They are both ok- I might switch to the less expensive Bc I really am only using as a step after cleansing to REALLY make sure my skin is free of all makeup. 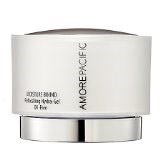 Lactic Acid, Glycolic Acid, Citric Acid, and Malic Acid → Each is a natural, alpha-hydroxy acid (AHA) derived from bilberry extract, sugar cane extract, sugar maple extract, and citrus extracts that provides mild exfoliation to help reduce the appearance of wrinkles and enhance skin texture. 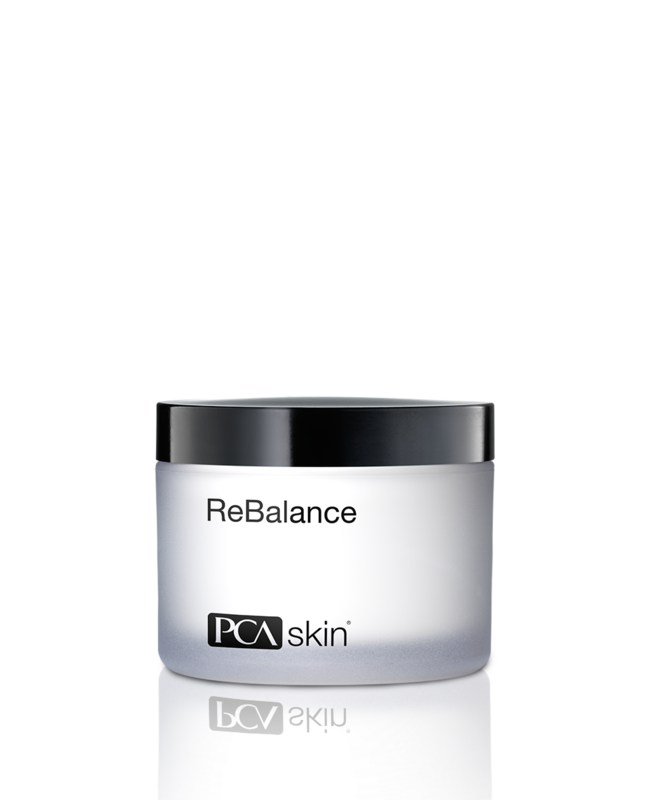 Salicylic Acid → A beta-hydroxy acid (BHA) that helps exfoliate skin. 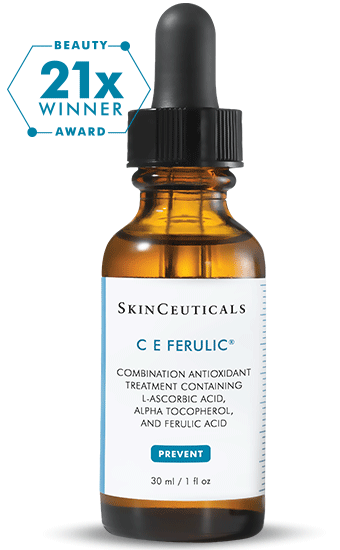 Tocopheryl Acetate → A stabilized ester of vitamin E considered the most important antioxidant and free-radical scavenger. Panthenol (Pro-Vitamin B5) → A moisturizing agent that binds moisture to surface skin layers. I use this exfoliating bha liquid product on the nights I don’t use either of he above- so about 1-2x a week I’ll use this instead of either of the above. 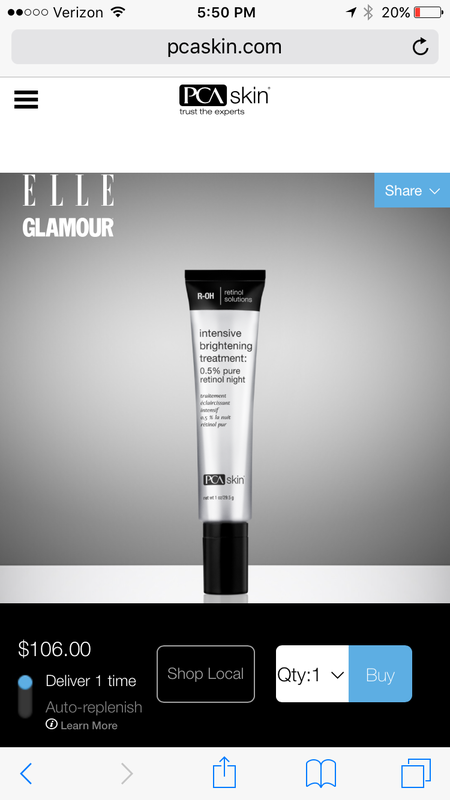 This product is amazing- a serious EXFOLIATOR – which comes in a 1 % as well. 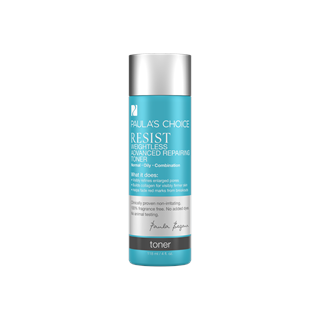 I cleanse, remove makeup- and swipe this all over my face, and add a gel moisturizer on dry spots. My skin the next day has zero pores. It’s slightly red, but you can tell it wasn’t sleeping on the job, while I was 😁. Sooo- a combination of these products stripped my skin a bit- but the outcome was bright, smooth, skin, very few pores, no blemishes, and a few less red spots/ scars!! Not to mention- my laugh lines are non existent- looks like I got juvaderm in my cheeks last month instead of 9 months ago. I should also mention that I am due for Botox – it’s been 7 months, however, it’s really not bad at all. If you really want to know, here ya go! From suburb of Philadelphia, (shout out to West Grove, West Chester and Kennett Square). WCU graduate in nutrition sciences, went into medical sales for ophthalmology and optometry because I couldn't fathom telling people what to eat when I often have cake for breakfast. As much as I found success in the eye care industry, I have always (since age 11) been obsessed with all things aesthetics. My early education came from beauty and fashion magazines and developed to beauty blogs and further, physician targeted education through websites and medical journals. The best education came from my role as the ultimate consumer, which includes much trial and error, and the ability to purchase items, and know when to return them when they don't work. My career led me to a position as an Associate Publisher for a communications company that's audience was medical professionals, specifically eye surgeons, ophthalmologists and optometrists. 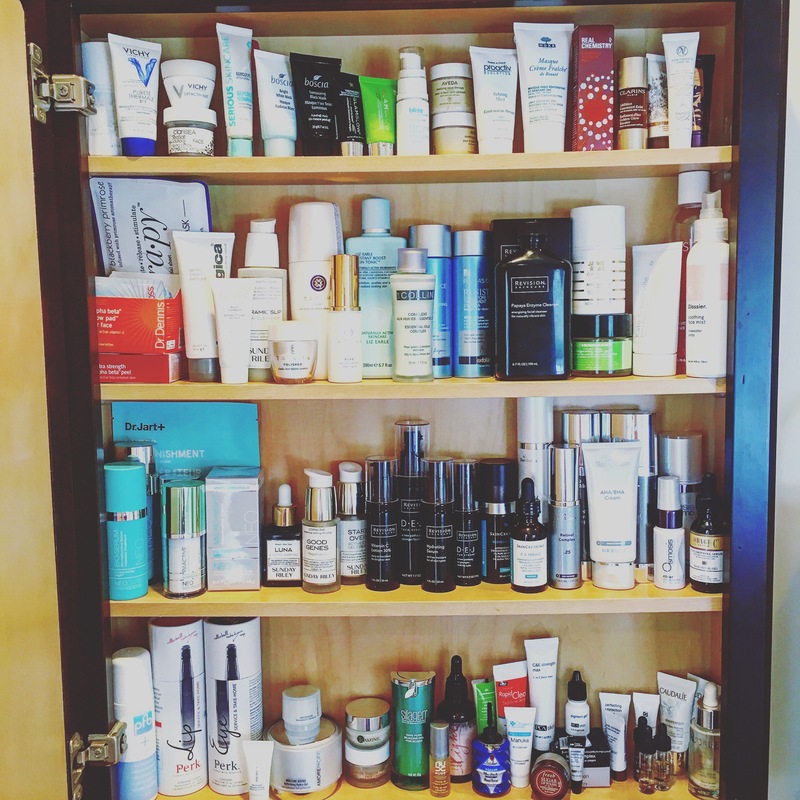 I had the opportunity to contribute to the first ever BEAUTY ISSUE for both the MD and OD publications, and wrote an article on what an eye doctor needs to know about skincare and the consumer. I realized while writing the article, that my interest in aesthetics was more than just a hobby, and it was time to make a career change. I quit my publishers job in eye care and here I am :) This blog will be a personal outlet for sharing what I know and have learned over the years, all while searching for a position in the aesthetics industry that suits my abilities best! I am thrilled and I hope all who come across this blog enjoy reading as much as I enjoy sharing. Feel free to reach out for more personalized Q&A!